Great Camping Tips and Advice, To Make Your Camping Experience The Best! With the right camping tips and advice to help guide you, anyone can enjoy a camping vacation. From basic tent camping to the almost-like-home comforts of RV camping and everything in between, camping offers different levels that make it the perfect vacation for anyone. What Is So Great About Family Camping?????? In this day of technology and fast-paced activity, on-the-go busy families do not spend enough time together. Family camping offers families the opportunity to get back to the basics, to relax in a beautiful natural setting, and really enjoy time together. 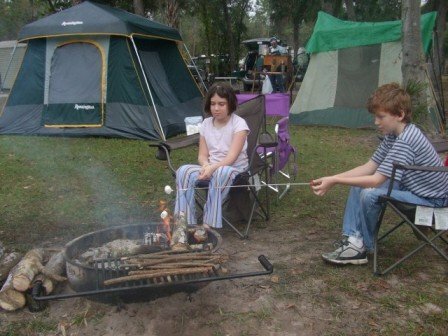 Camping also provides an inexpensive way to vacation with your family. Sitting around the campfire, enjoying home cooking, and telling stories or playing games all create memories and bonds that last a lifetime. My kids love gathering the wood for a fire, the skill of building it, and then the thrill of lighting it. And it doesn't matter how elaborate a meal we prepare, to them nothing compares with skewering a hot dog and roasting it over the fire they just built. If you are a first-time camper, or even a beginning camper with just a little experience, when you first start out, going camping can be intimidating. Sleeping out in the "wild" can make you feel very vulnerable...and even knowing what to bring to make your trip comfortable can be overwhelming. If you are not used to sleeping outdoors, how much you enjoy your camping experience is directly tied to your knowledge of where to go, what to do, and what camping equipment to bring. Camping tips and advice from an experienced camper can make being in the outdoors a breeze. Many people start simple, with "civilized" camping and as their comfort level grows, progress to more primitive-type camping. Some will always enjoy camping with the amenities. If you like, you can camp high-tech, with the latest and the greatest of everything, but you can also camp low-tech with comfortable basics and a frugal trip and have a fantastic time. From choosing a camping tent, to knowing how to set up a camp kitchen, and even camping tips for cooking, the more camping hints and tips you know the easier it will be. And notice I did say the more you know, not the more you buy or bring. 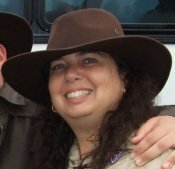 So let me share with you my love of camping, easy tips, and earned knowledge...you bring an open mind and a sense of adventure...and you too can easily enjoy one of the greatest types of family or couple vacations available that will not break the bank. Our Newest Fun Gadget... We Love These!! !